Nikon announced the development of a new AF-S 500mm f/5.6E PF ED VR lens last month, but now we finally get a look at it thanks to an image posted to Twitter by Photographer Pavel Bednyakov, whose photograph makes it look like the new 500mm could be easier to hold than Nikon's 200mm f/2. If you've ever shot with the Nikon 200mm f/2G VR II (or the earlier version), you'll likely remember how it was more or less at the limit of what could reasonably be handheld for longer periods of time. Essentially, the Nikon 200mm f/2 is to we normal humans as the 600mm f/4 is to Dwayne Johnson. But that's what makes this new "PF" technology so exciting, as it enables this 500mm in development to be smaller and lighter than anything else before it. 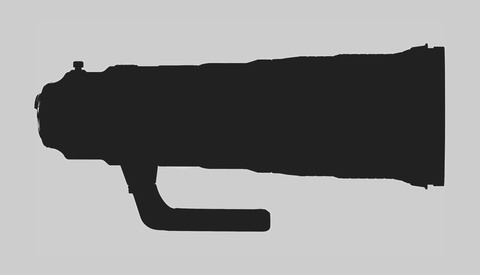 Referring to the use of a Phase Fresnel lens element that, according to Nikon, "effectively compensates for chromatic aberration utilizing the photo diffraction phenomenon," PF lenses such as the already-released AF-S NIKKOR 300mm f/4E PF ED VR lens are "remarkably compact and lightweight... with fewer lens elements." 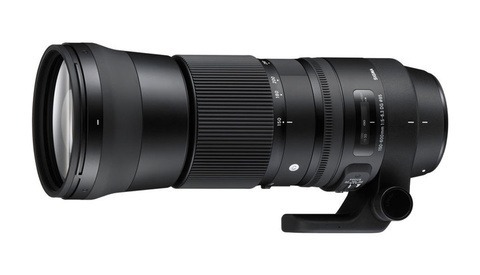 Because of this, the 500mm f/5.6E PF lens should be hand-holdable, and it looks even more maneuverable than that coveted Nikon 200mm f/2 judging by that photo on Twitter. What do you think? Is the rumored price of $4,300 too much to get you to buy into what's still a relatively affordable and extremely portable super-telephoto lens? the question is should you buy the F or the Z mount of this lens. nikon rumors says that nikon will release a Mirorles camera this week. how about a D850 mirrorles version with this lens doing 15fps with new AF ? There's no word of a Z mount yet. oh yes there isn't. im willing to believe that i read about it on nikonrumors. The answer is which version do YOU want? thats not an answer thats a question, hence the -->? at the end. and indeed, if they release a mirrorles version of the D850 its a no brainer to buy that one with this lens. 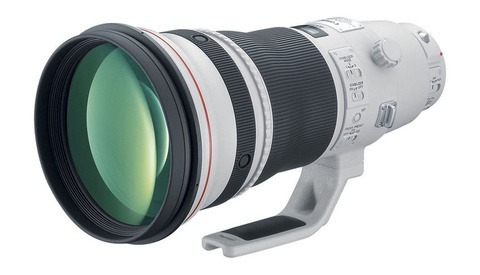 for DSLR, a second hand 500mm F4(which isnt their best) is roughly 3500-4500 euro. one with no marks of use, a shoot-on-sunday-maybe lens from some rich bloke. If you don't mind risking an untried and untested instrument, sure. As long as you have backup. When I saw the title of the article, I thought maybe Nikon was going to one up Canon's very well priced and quite sharp 400 f5.6 (about $1150 US). But at $4300, I guess that's not Nikon's intent. Still, it's a lot better than Nikon's f4 version. Canon, great lens offer, horrible camera's. 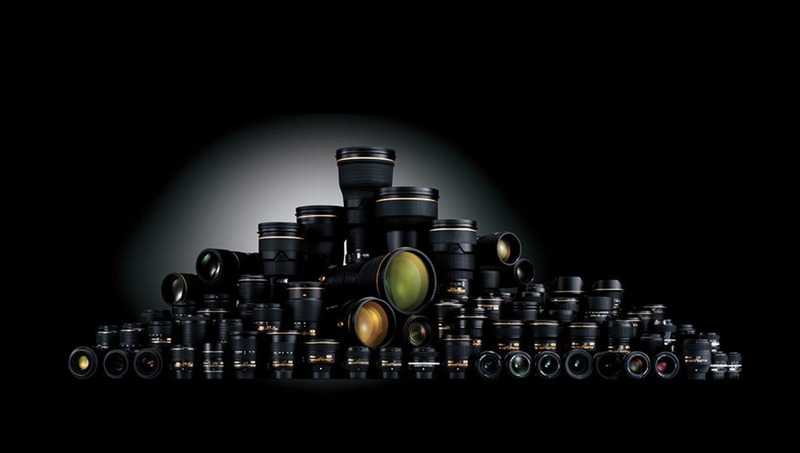 they need lots of magic or a teleport (DrWho tardis) machine to catch up with sony or nikon. must say i do hope they do, i have canon and nikon and i got an A7-3 on my list. but i got a D850 on my list too. In my mind, the D850 is the best FF camera on the market right now. I also agree that for certain subjects, Sony makes the best sensors. But to say that Canon cameras are horrible, you lose a lot of credibility. If you lined up 16X24 prints of the same subject shot by a D850, 5DIV, Sony A7III, and a Pentax K1 (FF cameras), 99.9% of people viewing the prints would have no clue as to which camera shot what image. Of course, if you're a pixel peeper and carry a magnifying glass around to inspect prints, you might see a difference. And, if all these cameras were on tripods taking the shots and somehow, all of these cameras were damaged due to, say, falling into a fountain, which camera brand would you want if you needed it repaired and returned in a timely fashion? It's not always about the sensor or the focusing system. i dont shoot sport, i shoot portraits, desktop, fashion and art. and yes print. i also shoot at night. canon is behind the rest of the market. for low light i would pic the sony over the canon and over th nikon. it has less noise. but i shoot video too. so right now my best alround for portrait , night and video work is the sony. for nature, landscape etc i would pic the nikon. and it helps that the sony is small while doing street photography. im looking forward to nikons mirrorless release, i do hope they do something with the video codecs. Sony does all that stuff well, but they feel like a product that came off the shelves of Toys R Us. Sony in hand ergonomics are, to use a word you like, horrible. With that, I'm about 99% sure that a Sony would not be in my camera bag at any point. All that other stuff doesn't matter a whit if the camera isn't fun to use even before pressing the shutter. Subjective for sure, but a deal breaker for me. something i heard that stuck,. i heard that third batteries dont work on the latest camera releases. means you will have to pay top prices for original. same thing apple does. anyway, its cheaper for me to buy a D850 then buying a sony A7-3 and my first native sony lens. wish nikon would do something with that eye focus sony has. if i hear one more "photographer" pronounce it "frez-nel," i'm going to punch a baby.